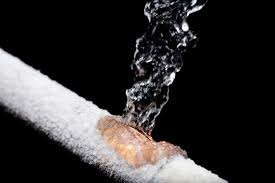 Unfortunately we have had several water line breaks in client properties due to the extremely low temperatures. Facilities with multiple air conditioned zones and programmable thermostats should be especially careful. Some of these zones could be below freezing or go below freezing when the air is turned off (especially overnight). Many areas such as, above dropped ceilings, basements, unused areas and attics should be considered primary areas of concern. Clutter is something that is a part of all our lives. When clutter is present harmony is not. With clutter comes complexity and chaos. Chaos leads to waste and complexity leads to quality issues with products and processes. An organized workplace is one where there is a place for everything and everything is in its place. Getting organized is a process; it is something that is ongoing, not a final destination. Even those of us that work just fine in clutter need some method to our madness. When it comes to clutter you have one of two options- you can either cut the clutter or you can waste time shuffling it around. When you are moving piles from area to area you are complicating a simple process. Keep in mind that complexity affects quality. When you are tackling the task of organizing your workplace the main goal to keep in mind is the goal to plan. To start the process you need a plan. By this, I simply mean try and anticipate the needs of an operation. After you have assessed your needs you can then organize according to the plan. Process: A series of actions used to produce something or reach a certain goal. Evaluate what you need and why you need it – different areas provide different functions and need to meet different needs. Which areas are you going to address? What function(s) do these areas serve? Containerize- think about what is practical. What do you use the most frequently? What do you only use on a monthly basis? Placing items in their new home can be tricky if you forget to think about practicality. Lesser used items can be stored vertically – in overhead storage bins, or hanging folders. Evaluate – After a trial run with your new system it is important to evaluate the effectiveness of it. 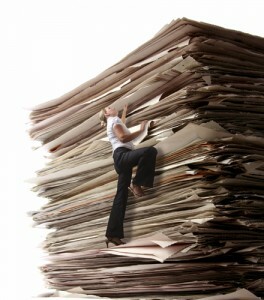 If your desk still has piles and heaps of paperwork you might want to consider a new plan with a new system. Organizing can be a trial and error process. By having a place for everything and keeping everything in its place you can locate items at the drop of a hat. Don’t get discouraged. Keep in mind that if you created it, you can change it. Chaos is a demanding taskmaster and time waster. Getting organized requires a redirection of energy away from one type of experience to another. *A clutter free work zone does not equal a clean work zone. Call Envision Commercial Cleaning for your free cleaning quote today. 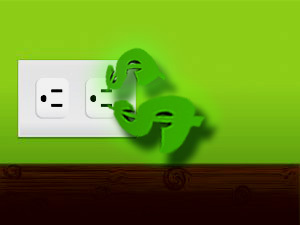 Unplugging electric devices saves money. That is something I am sure we have all heard at some point, but how often do we actually do it? A large part of your expense when it comes to the energy bill can be from items that are not even being used. Certain appliances and electronics don’t fully shut down when you power them off; instead they enter standby mode. This means that although something is turned off it is still using power. Known as energy vampires, these appliances for the most part do not serve a function, all the while slowly sucking energy from your home or office. So, is it enough power to make an impact? The answer is yes; energy vampires can consume as much as 15-30 watts per appliance. Totaled up it is estimated to account for more than 5% of your power bill; that adds up to an average of $4 billion dollars across the U.S. In the state of Ohio approximately $55-$100 per year could be saved by just switching off the unnecessary devices and cutting vampire power. Beginning in the 1960s manufacturers started designing TVs with “instant on” technology. Eliminating the warm up period most televisions previously needed, this began the trend towards standby power. Some vampire electricity is necessary with today’s technology, without it we would not have the modern convenience of refrigerator temperature monitors, the easy use of remote controls or digital clocks. However, there are certain devices that can be switched off completely to help save money and energy. Check devices and decide what can be unplugged. Monitor cell phones when charging – only keep it plugged in while it is recharging. When it is finished don’t forget to remove the charger from the outlet as well. Instead of logging off when you are finished with your computer, shut it down completely. Turn off your monitor instead of letting it go into sleep mode. When purchasing new products, look for the Energy Star logo; these items are more energy efficient. Look into smart power strips that auto detect when a device has been inactive for a period of time and automatically switch off the power source. Kill-o-watts are devices that tell you information on the intake of your electronics. It analyzes devices in standby mode as well as when they are fully on. Kill-o-watts are great for gaining insight on the energy being used in your home and on the efficiency of your electronics. For those with iOS check out the iGo Vampire Power Calculator app; it detects how much energy your appliances may be wasting and also provides plenty of tips and tricks to save energy. Below is an infographic showing how much energy common vampires use (source: GOOD Magazine). Indoor air has been found to be 1-5 times more polluted than the air outdoors. Poor Indoor Air Quality can lead to a variety of health problems such as asthma, headaches, dry eyes, nasal congestion, nausea, and fatigue. Certain paints, flooring choices and even furniture can emit VOCs adding to the ongoing indoor air quality problem. Not limited to VOCs, the source for nasty air is also caused by the buildup of dust mites, pollen, mold, radon, carbon monoxide and excessive carbon dioxide. With the cold winter months just ahead, our homes and offices are more air tight than ever to help keep the heat in and the cold out. With lack of quality air circulation, the indoor air quality of a building is at risk. 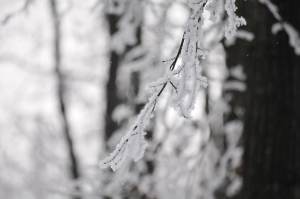 We all need to winterize our homes, so what can you do to help improve your IAQ? HVAC: Heating ventilation and air conditioning is a system that maintains your home’s IAQ through air filtration and ventilation combined with temperature controls. Basically it draws air into an air handling unit where it is filtered and then heated/cooled before it is circulated through the ducts. Clean ductwork: 1 of 6 allergy sufferers do so because of direct relation to fungi and bacteria in air duct systems. (Total Health and Better Health Magazine). Have your ducts cleaned and sanitized every few years. Need for fresh air: Open a window if you can stand the cold for even a few minutes. 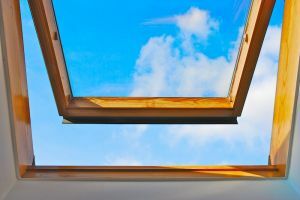 If the cold is too much to bear, you can have a fresh air intake pipe installed through the ventilation system and that will constantly be bringing in fresh air. Air Filters: Skip the basic blue furnace filters that you can buy for $0.99; those are more functional as a protection for the furnace blower because they only block the big stuff. Instead try a ‘pleated filter’. These are higher quality and are 10 times more efficient than the blue ones. They filter more particles and smaller particles. For about $18-$25 a pop, these need to be changed every 3 months. Air Cleaners: The trick for air purifiers to be successful is to make sure it is a true HEPA filer and to run it on high in a room that can be closed off by a door so the machine will draw in sufficient air and filter it back out into your home. 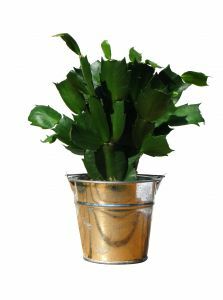 Indoor plants: By purchasing the right types, indoor plants can help purify the air and increase IAQ. According to Costa Farms in Goulds, Florida the top pollution purifying plants are Dendrobium and Phaeleonopsis Orchids, Palms, Peace lilies, Ferns, Schefflera, Anthuriums, Song of India (Dracaena reflexa), Pothos, Massangeana Cane, and Philodendrons. Don’t let yourself fall victim to poor IAQ this winter. Take proactive steps to making your home a healthy environment. Don’t just stop at the home. With all the time spent in the office, the IAQ at the workplace should be of concern too. A great way to help improve IAQ is through green cleaning. Envision Commercial Cleaning offers full service green cleaning and can help improve the health of your business. Call for you free quote today! Black Friday is traditionally known as the day that retailers traditionally moved into profitability for the year; it is the day that they moved from “in the red” to “in the black”. It has been the single biggest shopping day for the last seven years. Last year a record 226 million shoppers visited stores and websites during the four-day holiday weekend starting on Thursday, the Thanksgiving Day holiday, up from 212 million previous year, according to early estimates by the National Retail Federation released on Sunday. Americans spent more, too: The average holiday shopper spent $398.62 over the weekend, up from $365.34 a year ago. Black Friday brings millions out to purchase anything and everything: TV’s, Awesome Sweaters, Microwaves, Computers, Toys, and finally what millions have been waiting for… Commercial Cleaning! We are happy to be the first to bring you and your friends this extremely exclusive offer. Please check this out and pass it along. Your efforts will help you, a friend, or a charity this holiday season. Click Here To See Our Exclusive Offer. Cleaning your carpets is especially important during the transition from fall into winter. With all of the leaves and dirt that are tracked in, DIY carpet cleaning is perfect for cutting the dirt before the cold months ahead. 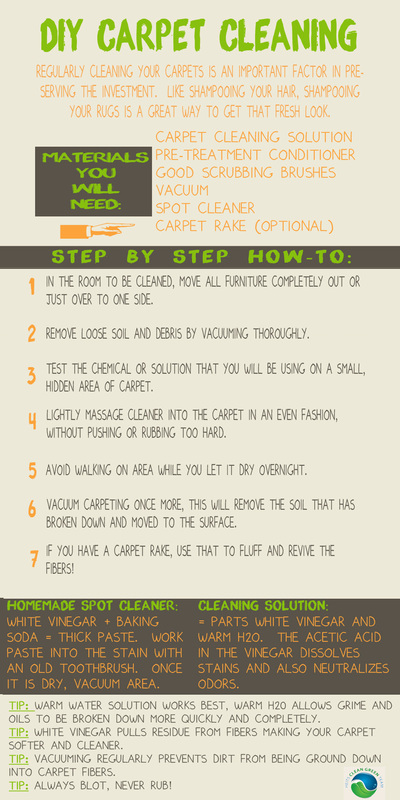 Below are step by step instruction for the DIY’er when it comes to carpet cleaning. Make sure to check out the homemade cleaning recipes at the bottom – going green has never been so easy! 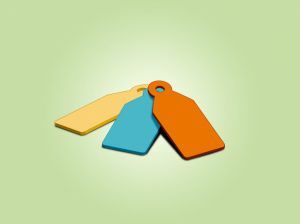 Reduce: Always think before you buy; the less stuff you have, the less you have to organize. Don’t make a purchase unless you really need it. Reuse: Think in terms of if you can’t use something, can someone else? Donate anything that might be of assistance to others. Always of help, check out freecycle.org to find a facility near you to donate specific items. Also check out throwplace.com – it is the internet’s alternative landfill, and they donate their goods to nonprofit organizations. Repair: So many of us are quick to replace an item when it breaks. Checking to see if an item can be repaired before you replace it helps lessen your carbon footprint at many steps in the manufacturing cycle. Repurpose: A new craze of up-cycling, try looking at an item in new light… mix match dishes can be used to hold jewelry with small pieces; or a wine case that has dividers is great for storing ornaments. Recycle: Before you begin your organization process, know your recyclable guidelines; what can be recycled and where can you take recyclables? 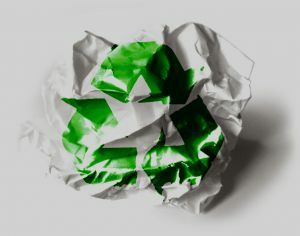 Check out recyclebank.com for recycling info – they offer incentives for recycling! Rethink: As you are going through your items, think about why you bought something, how you used it and if you really needed it. Think quality items over quantity. Clean with non-toxic cleaners to eliminate VOC emissions. Remember that organized space is more easily cleaned space! Commonly, Halloween is a time of year for tricking and treating, ghosts and goblins, and of course boat loads of candy. October 31st is just around the corner and the Halloween spirit is in the air. All of the activities that come with the territory can really leave a big carbon footprint behind. There are many ways to go green for Halloween! Listed below are six tips to help the average bear celebrate a healthy and eco-friendly Halloween. Green Costumes: How many people do you have living in your house? Multiply that number by 66.54 and you get the average amount that you will be predicted to spend for this Halloween. Americans are expected to shell out $5.77 billion for October 31st this year which breaks down to $66.54 per every person (that really adds up!) One way to not only save money but to help protect Mother Nature is to make a costume that is reusable and recyclable. You can use old clothes or cardboard boxes to craft a nifty and thrifty costume for any age. Green Treats: Instead of giving out candy that is going to rot kids’ teeth give out other treats like fake tattoos or pennies for UNICEF. A really good alternative to candy is giving out cups of apple cider – help those kids hydrate during all that running around from house to house. These healthy alternatives not only are healthy but they cut down all the waste from candy wrappers. Green trick or treating: Have your child use a reusable sack to collect all their treats in. Reusable buckets, canvas bags, or pillow cases are great alternatives to the store-bought, plastic candy buckets you use once and throw away. 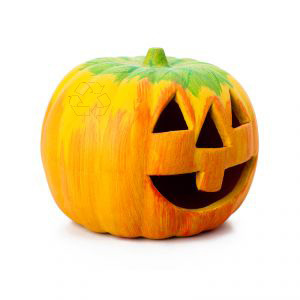 Green decorations: Pumpkins and gourds are great eco-friendly ideas for decorating this Halloween. Try looking on Pinterest for clever ways to spruce up the average pumpkin. Take the family to the local farmer’s market to pick out some pumpkins to decorate! Anything biodegradable can be composted afterwards, so you can cut down on waste. TIP- Traditional candles have paraffin in the wax that can release toxic chemicals in their smoke and soot, like toluene and benzene. A great alternative are soy candles – they last longer and are made from the renewable soy bean crop. Green Party: If you are having a party this Halloween try sending e-vites instead of paper ones. This is a great and easy way to cut back on paper waste. For your cutlery and plates, purchase recyclable ones or compostable ones. Purchase cloth napkins from your local goodwill for guests to use instead of paper. They are easy to wash and reuse. You can mix and match colors to go with your party décor. 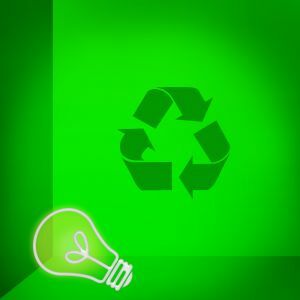 Green Cleanup: Anything that you used in decorations or costumes that can be reused – REUSE IT! Place items in bins that you can store and enjoy again next Halloween. Most importantly, RECYCLE AND COMPOST! Going green on Halloween is a simple step that has potential for a great impact on our environment! Is your office clean, but not green? Call Envision Commercial Cleaning for your free quote today! 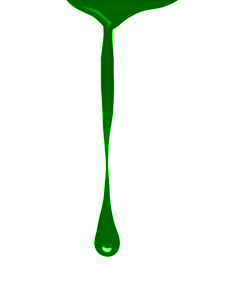 We offer green cleaning, high quality services. One of the many health benefits of regular exercise is that it boosts the immune system. Ironically, the gym where many of us do our daily workout is swarming with germs and bacteria which, if you’re not careful, can do the opposite of boosting your immune system. According to Dr. Philip Tierno, a microbiologist at New York University, “Eighty percent of all infectious disease is transmitted by contact.” For that reason it is important to be aware of where the biggest germ zones are when at the gym. So where exactly are these germs lurking? Dumb bells & weight machines – Any area at the gym that has a quick turn around and multiple sequence use is a hot zone for bacteria and viruses. Cardio machines usually are wiped down with every use; weight machines and free weights are not. You are therefore leaving your germs behind for the next person and so on. In a study performed by the Clinical Journal of Sports Medicine it was found that viruses and bacteria were found on 73% of weight equipment that they tested. The best way to avoid picking up any germs is to wash your hands immediately after weight use. The average person touches their face around 18 times per hour – something to keep in mind during and after your bicep curls. 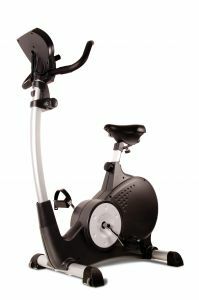 Bike seats & cardio machines – The Clinical Journal of Sports Medicine found that 51% of cardio equipment tested had viruses and bacteria on them. Most ubiquitous was Rhinovirus which causes the common cold. 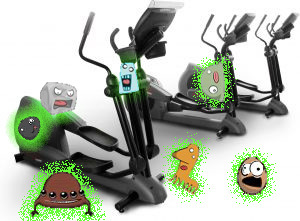 The bike seat is the worst of the worst when it comes to germy cardio machines. Direct contact occurs for the entire duration of use, creating an optimum environment for germs to thrive! 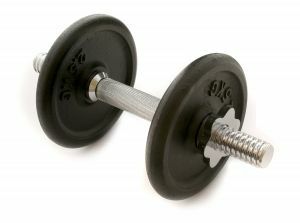 Bench press – Requiring the user to lay down, the bench press is found to harbor a myriad of bacteria types. Gravity is mainly to blame because all of your sweat drips down and covers the padded bench. Be sure to wipe down the bench before AND after use! Shower floor & locker room – The hot and humid environment created by the shower is a perfect breeding ground for an innumerable amount of germs. 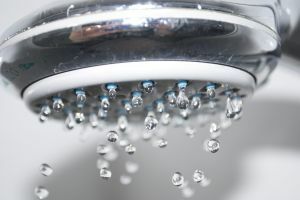 New research has even shown that the water spouting from the shower head can disperse pathogen-filled water droplets that people can breathe into their lungs. Athlete’s Foot and Human Papillomavirus (cause of Plantars warts) can be contracted from floors in the shower area or locker room. Never go barefoot when in these areas. Gym mats – Residual sweat that is left behind creates a proliferating area for germs to cultivate and flourish. Mats are typically never cleaned after use allowing for viruses like the herpes virus, to be transferred from person to person. A strain of MRSA has even shown up on gym mats tested in recent studies. A yoga mat is a personal item much like a pillow is, therefore it should not be shared amongst a group of people. The best way to avoid contact with such bacteria is to simply bring your own mat to the gym. If you do not have your own, a towel works as a makeshift barrier between your body and the grimy mat. 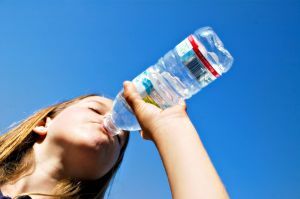 Water fountain – Dr. Charles Gerba has found that water fountains can have more bacteria than toilets! With the constant direct contact with peoples’ mouths, it isn’t even a good idea to fill up your personal water bottle here. Bring your own pre-filled H₂O bottle to hydrate during your workout. Don’t let the germaphobe within deter you from getting in your daily workout. By following a few steps you will be exercising your body as well as your cleanliness! Bring your own towel from home, as well as yoga mat, and ready-to-drink water bottle. Cover up any small scrapes or cuts to prevent any broken skin from having direct contact with a potential hot zone of germs. Hand sanitizer is good to have on-hand [pun intended] to wipe out germs in a pinch. Wiping down equipment after each use is a way to protect others, but don’t forget to wipe down before each use as well to protect yourself. Following these basic suggestions will ensure that your time at the gym is well-spent. You’ll feel better inside and out! Greenwashing is a marketing strategy where a product or service is portrayed as eco-friendly when, in fact, it may not be. It is a way that marketers pull the wool over the eyes of consumers. Greenwashing is the environmental version of whitewashing. 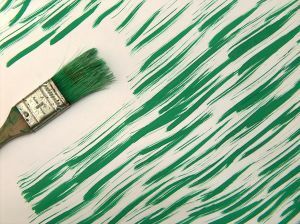 There are 7 sins of Greenwashing. 1) Sin of Hidden Trade-Off – Anytime companies market only one green aspect of their product when there is another aspect that is environmentally un-friendly. An example is office technological equipment that boasts about the item’s energy efficient attributes without addressing any hazardous material content or compatibility with recycled paper or cartridges. 2) Sin of No- Proof – Any claim that cannot be readily supported with accessible proof or reliable third party certification. 3) Sin of Vagueness – Any claim that is not elaborated and/or poorly defined or vastly broad. It could be a true claim – just not the whole truth. An example is when a label claims a product is “all natural.” Substances can be “natural” and bad for our health at the same time; i.e. arsenic, mercury, and formaldehyde are all natural! “Non- Toxic” also falls under this category; anything can be toxic in large enough doses. 4) Sin of Irrelevance – Any claim that is true but unhelpful, unimportant and ultimately distracting from the issue at hand. Ask yourself if the statement or claim is important to the product in question? Some products claim to be CFC-free which a true statement however may be irrelevant is because it has been a requirement by law since 1978 to not use CFC (ozone depleting chemicals) in products. 5) Sin of Lesser of Two Evils – Any claims that are true within a product category but are only made to divert the consumers’ attention from any greater environmental impacts of the category as a whole. Terra Choice uses the example of “organic cigarettes” or “green pesticides” which both seem oxymoronic. 6) Sin of Fibbing – Any environmental claims that are simply false. 7) Sin of Worshipping False Labels – A company that ‘paints a picture’ of eco-friendliness with an enticing label that, at first glance, appears to have third party endorsement by a bonified environmental company when in fact no such certification exists. The best way to protect yourself from getting duped by marketing companies and being “greenwashed” is to educate yourself on the important environmental issues at hand when it comes to purchasing products. Familiarize yourself with the most trust-worthy eco certification labels; that will help you spot those products that are truly ecofriendly – or otherwise! Envision Commercial Cleaning uses green cleaning products as well as techniques that are certified by trusted sources. Call us today for your free cleaning quote! Envision Green Clean Team will not only clean your facility but also can offer information regarding our products and practices.